Bringing comfort to our customers, supporting business and commerce, and building strong communities. AEP-PSO is an electric utility company serving more than 540,000 customers in eastern and southwestern Oklahoma. 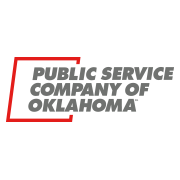 Headquartered in Tulsa, PSO has 4,269 megawatts of generating capacity and provides electricity to 232 cities and towns across a service area encompassing 30,000 square miles.